The fairway slopes from left to right therefore a good drive will favour the left hand of the fairway. But beware a bunker is strategically placed on the right side of the fairway which cannot be seen from the tee. Also out of bounds runs parallel to the fairway on the right side. The bottom of the flag will not be in view when your second shot is taken as the green is below the level of the fairway. 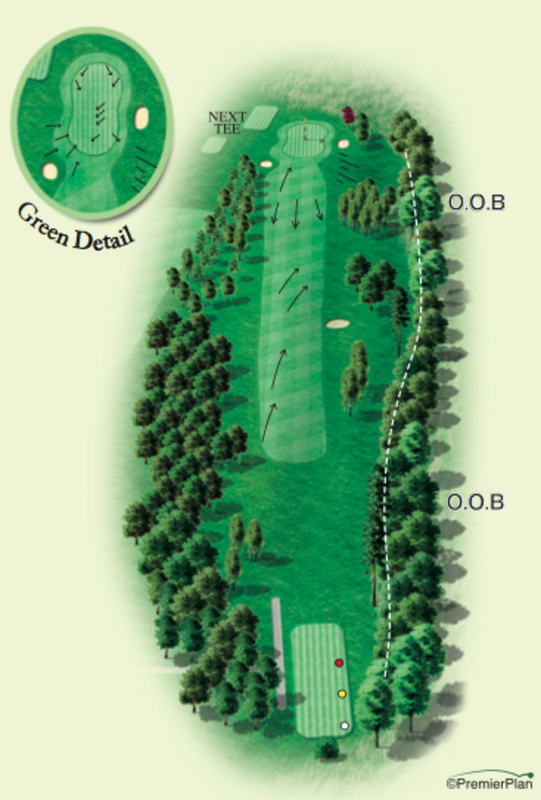 Once again favour the left side of this long contoured green as a shot to the right may bounce into a deep bunker.